Grocery stores are a staple in any town – a traditional operation that most folks rely on for food and household items, whether a quick midweek pick-up or mega haul for the whole family. But the times, they are a’changing. Technology has wedged itself into nearly every corner of business, and grocery stores aren’t excluded. It is essential to have a strong marketing strategy in place to promote your store against mounting competition, both locally and online. There are big shifts happening in the market (hello, Amazon’s Whole Foods acquisition). Below, we discuss 10 winning strategies to market your grocery store. These ideas can be applied to any store, whether you are part of a large chain, an independent, local market or a niche, small grocer. As many groceries have seen firsthand, the market competition is stiff, and it’s easy to lose numbers – quickly. What kind of growth are you looking to get out of your strategy – i.e. how do you define success? What are your goals centered around—revenue? Transactions? Foot traffic? Brand awareness? Laying out these foundational pieces before launching new promotions will allow you to track growth and assess what’s working and what isn’t. Successful marketing strategies take time and money: two items no business wants to waste. So you need a plan – where to begin? First, ask yourself what are the best marketing channels to reach your potential consumer? These questions will vary depending on your location, size, and target audience. For instance, a rural grocery store will likely choose a different path or tactics than an urban one. After all, both are likely aiming for the same goals! 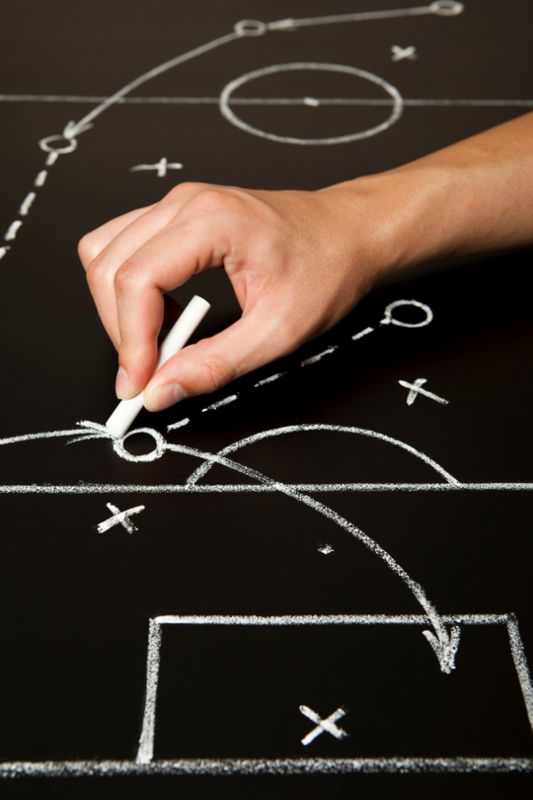 Your plan should include long- and short-term strategies. For instance, you may quickly pull folks in with an amazing sale or deal on some popular products, but once the frenzy is over, will they stay? Maybe, if you can also work in a longer-term plan, like creating a budding loyalty program that entices shoppers. Your customers are online a lot. Are you? If you are, what message are you sending your customers? AKA, are you… boring? Straightforward? Online but not engaged? Check out these major fast food brands, for instance, who are making a splash on social media. They’re witty, funny, engaging with customers, and staying relevant. Social media posts might not seem like a big deal, but these small, daily reminders of in-store offerings are a great way to influence customers. As a grocery store, social media is a simple, cost-effective way to advertise what’s going on in your store – special deals, holiday hours, events – or even highlight staff to make customers feel like a part of your shop’s community. Plastic straws are being banned around the U.S. Farmers markets are popping up in cities and small towns alike. This push towards sustainable, eco-friendly living is making its way into more and more households every day. As a grocery store, you can join the movement by offering local foods in stores, from fruits and veggies, to eggs, meats and cheeses –anything really that fits in your “local” parameter. Utilize social media to spotlight these local offerings. For instance, is it blueberry season and you’ve just brought out perfectly plump, juicy pints of ‘em? Let your customers know! In line with the sustainable movement, offering branded, reusable shopping bags is a must. More folks are ditching paper and plastic bags in favor of these eco-friendly options. Not only does this help the environment, but it helps to get eyes on your business logo when shoppers use their tote in other places around town. Don’t forget – the more bags are used, the less money you spend on plastic or brown bags. Keep your grocery bags at check-out lanes where customers can easily see and buy them. You may also consider adding an incentive for folks using them, like these stores are already doing. Are tastings samples? Essentially, yes. But we aren’t talking about the generic table set-up where a disinterested employee hawks cheese cubes between texting. Make these offerings feel more like an event. Create an attractive set-up. Make sure your employee is friendly, engaged, and put together (fresh uniform, no stains, ironed, etc.). Host tastings them at the same times each week, or at the same time of the day, so that customers can plan their shopping trip around them. Have a fun theme and offer a greater variety of items than just one jar of salsa or type of cracker. Promote the events on your social media accounts to help get the word out, too. People love free stuff, even if it’s just a few bites of food – and will likely pick up the milk and cereal they just ran out of while they’re there to sample, too. Tastings are a great way to introduce new products to customers, but how about revving up that spirit with an actual event? 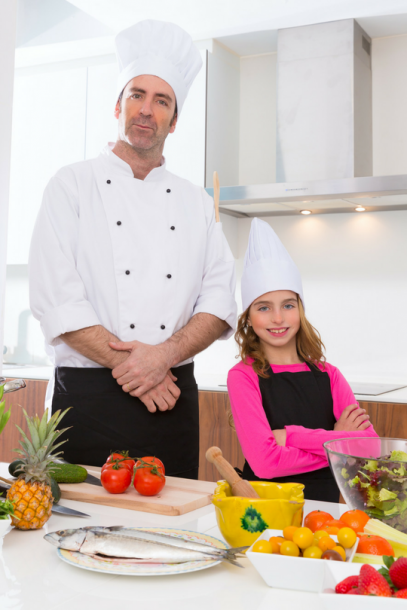 Maybe a cooking demo, “kiddie kitchen,” or a grouping of samples that coincide with an upcoming holiday or cultural event. Drawing folks into your store will mean you’ll not only improve foot traffic but capture unexpected/unintended sales from customers. If you don’t have a lot of space in-store, try partnering with a local event space! You’ll get double the exposure in promotions and have the chance to align your business with another to help communicate your business’ vibe and values outside of the traditional storefront. Let’s face it, grocery shopping can feel like a chore. Don’t be offended – we’re all super busy these days! Counter this by creating an atmosphere folks want to be in. Besides the obvious (clean, organized, with friendly and helpful employees), consider wowing your customers with a little treat. There’s already a bunch of stores doing the fruit thing, which, frankly, is pretty great for parents. And stores like Target and Whole Foods allow customers to buy their own meal or snack. How about a small cup of tea or coffee for adults? The beverage will slow them down, allowing them more time to scan the aisles – which translates to buying more items. Sorry to bring this up again, but grocery shopping can be a nuisance many, especially in an age when people can buy groceries and everything else online. You and your staff must address the question: why not groceries? What will entice customers to continue to visit your store when they can find the same products on Amazon? So many stores are already offering delivery as an option. Are you? If not, why? You can offer customers a great convenience – one they’ll gladly pay for, too. Whether you offer this service yourself or link up with a company like Instacart, your customers will appreciate having the option. Just make sure you promote it! Loyalty programs are a fantastic way to earn repeat customers who will remain loyal to your store despite surrounding competition. You can forge relationships with these folks by offering an undeniably great loyalty program. What will yours offer? 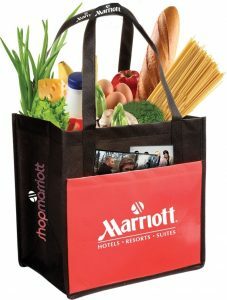 The basic perks include exclusive, coupons, and even swag like that branded reusable grocery bag we mentioned. Maybe they save 10% on every purchase, receive a free food item each month or receive some other perk for referrals. Everyone must buy groceries. Adding little bonuses for those who regularly shop at your store is a great way to bring folks in and keep them there. Getting the chance to speak and engage with your customers outside of the store is a huge company win. This can be accomplished with social media, as mentioned above, but also on a more intimate scale using an email list. It’s a great way to share social media-esque items in longer form (but not too long). You can email out recipes, cooking tips, highlight popular vendors you sell (including local farms! ), list your weekly specials, and of course, offer coupons. Email is a great way to replace the traditional weekly newspaper inserts, which most don’t receive anymore. People still love deals, even if they’re no longer scouring newspaper inserts to clip coupons. Instead, digitize your coupons so they can be found and retrieved with a simple finger swipe on a smartphone. Having a few coupons to use just may make the difference between whether they pick up their groceries at your store or the one across town. From joining healthy movements, like farm fresh food and reusable bags, to marrying your brick and mortar with technology via social media and email, the field is ripe for innovative strategies to promote your grocery store. We hope these marketing tips have got your wheels turning – and soon enough, customers flowing in the door!